You are here: Home » Rally News » 12 Mar: Safety Review – act now! 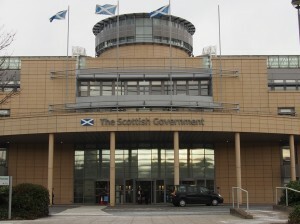 12 Mar: Safety Review – act now! 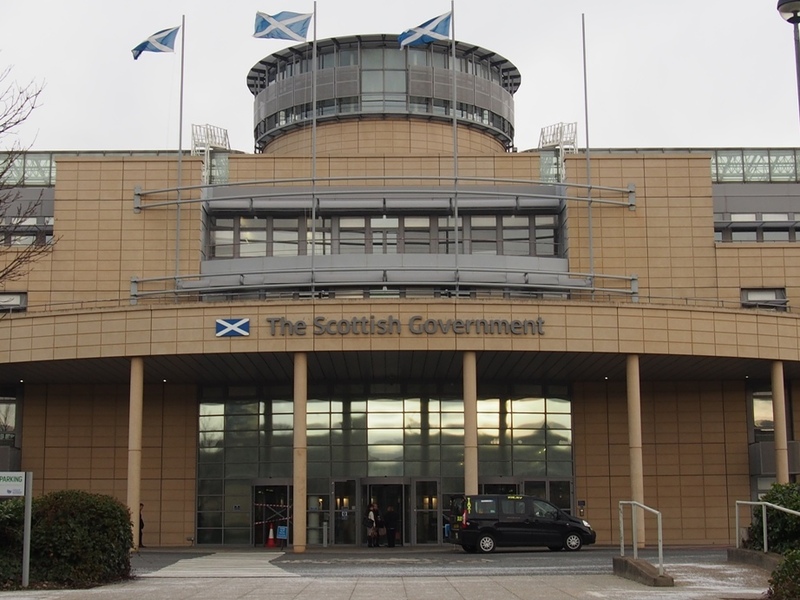 … John Cleland (President of the SACC) and John Fife (Press) were invited to a meeting yesterday (11th March) at the Scottish Government’s offices in Leith. It was enlightening, positive and upbeat. It was also decidedly scary! The sport of rallying in the UK is not just under scrutiny, it is under serious threat. If anyone thinks this is just another tabloid inspired stooshie which will dissipate when the next big sporting tragedy or scandal comes around, they’d best think again. It’s not just a matter of informing those new to the sport, it is every bit as much about re-educating those already involved. What ‘old hands’ take for granted will horrify those who have never encountered rallying before. Take motor racing for example. Spectators stand behind a fence, which is behind a banking, behind the armco and behind the run-off area. Rally spectators don’t, and the cars are going past just as fast. Neither do motor race circuits allow folk to walk up the track before the race has started or between races looking for a suitable spectating point whilst listening out for the sound of approaching cars before leaping off the road. Rallying can no longer rely on common sense. The eedjits have ruined it for the rest of us and that goes for the rally photographers too. They have failed to control their own actions and curtail the excesses of those new to the profession. No sport can ever be made completely safe, so anyone attending in any capacity has to assume some responsibility for their own actions. All we can do is highlight the risks, illustrate how best to minimise them and ensure that all other relevant safety precautions are taken. Going forward, there will continue to be a requirement for some element of self-policing here. If responsible spectators don’t assist and advise the newcomers, or dissuade the numpties, then the new Rally Safety Delegate appointed for each event will have the power to pull the plug on the stage and possibly the whole event. No question. No argument. Done deal. What is required here is a cultural change. The ‘more experienced’ have to set an example. Instead of bravado, they should be the first to stand further back, and encourage others to do so too. This will not be easy. Explaining to the uninitiated is one thing, but getting through the various levels of stupidity and ignorance flaunted by a small section of rally followers, will be much more difficult. It will have to be done. Organisers too will have to view their events differently. When carrying out a recce of the route they will have to seriously consider where spectators should gather and how they access those particular areas safely. That will include the creation of more car parks and route-marking for pedestrian spectator access. At this point it is worth noting that local Forestry Leisure and Recreation managers are being encouraged to work more closely with rally organisers. In the same way, those who administer our sport will have to come up with more guidance and practical support. Not just the MSA and not just the regional associations, but all the committee members of individual motor sport clubs. This threat to the future of our sport has to be taken seriously. If anyone reckons they are not up to the task, or unable to assume the workload, then they should step back now and make way for someone who is. Unless a proper regard for health and safety, and a system of implementation is introduced into the sport, to the full satisfaction of the national government, then their response will be to withdraw permission for multi-venue stage rallies. Simple, and final. And don’t think they won’t, or can’t, do it. Motor sport is regarded as a ‘minority’ sport. Sufficient public support could not be generated or an on-line petition created that would be big enough to change political minds. And don’t think the Forestry Commission will support us either. There is a wind of change blowing through the woods here too. The whole culture of ‘Health & Safety’ in the forestry industry is undergoing serious change. Neither will the claim that they ‘make money out of rallying’ hold any substance. Rallying doesn’t generate sufficient amounts of income that the FC will defend the sport. They will be pragmatic – is it worth the hassle, or not? Overnight, the nation’s rally cars will become museum pieces, because there won’t be any bluidy rallies on which to use them, and that goes for closed road events too. That’s a message that also needs to be understood by the wider motor sports industry, preparation firms, parts and accessory suppliers, equipment providers and all the rest. They have a part to play too in supporting these changes and ideals. All requests for donations to Marshals’ ‘goodie bags’ or help with professional equipment and expertise should be supported as best they can. The sport now has 24 months to put its house in order. The first 12 months must demonstrate a willingness to adopt and introduce the Safety Review Group’s recommendations. A further 12 months will be granted if the sport can show that such change is already well underway. Over the coming months a number of new practices will be required, and there might be some form of financial support to help, but really it’s down to us. And don’t go thinking this is simply a Scottish problem, or even a UK problem. The FIA is taking notice of what’s going on here especially in view of what happened to a photographer at Rally Sweden just last month. And if you think all this is scaremongering, then think on this. Why else would the Scottish Government ‘second’ a civil servant to work with the MSA to ensure the implementation of these recommendations? And why have they given this civil servant an initial 12 months with a possible 12 month extension? If the sport can’t be trusted to implement change, no-one else is going to do it for us. Put it this way. 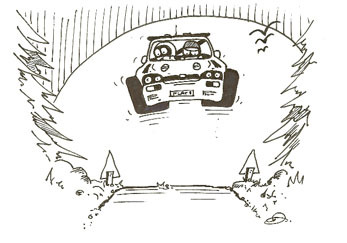 Rallying’s alternator is knackered, and it will need more than a jump start to keep it going. A new dynamo is needed. This could well be the sport’s last chance.